Top 12 Homemade Weight Loss Shakes - Go Natural And Lose Weight! Why You Must Prefer Homemade Weight Loss Shakes and Drinks to Any Other Crash Diet! In today’s fast evolving time, everybody wants to look the best! People are getting more and more conscious of their physical appearance and wish to have the perfect body. However, losing weight isn’t an easy task. Weight loss requires commitment and consistency in the efforts to follow the diet plan, exercise well, avoid certain foods, etc. Most dietitians’ advice to add homemade weight loss shakes to the daily diet plan to lose weight slowly and in a healthy way. The peanut butter protein shake will have a creamy and nutty consistency. It is a very delicious and healthy shake, high in fiber content and low in fats. Blend together all the ingredients smoothly. Refrigerate the shake and consume it while it is chilled. Chocolate and bananas make an excellent combination, both healthy-wise and tasty as well! Blend all the ingredients except the milk and quinoa. Once you get a thick paste, slowly blend the cooked quinoa and milk. 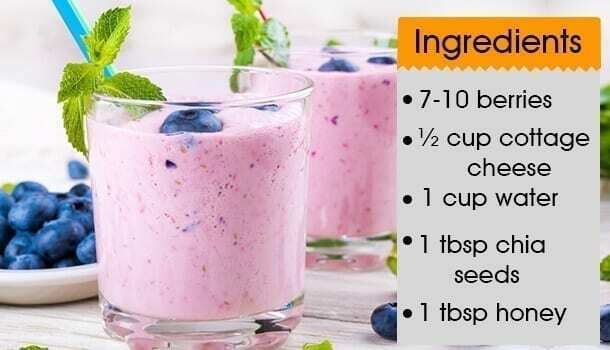 The drink will be very delicious and one of the best diet shakes for weight loss. Berries are powerful antioxidants and one of the richest sources of fiber. 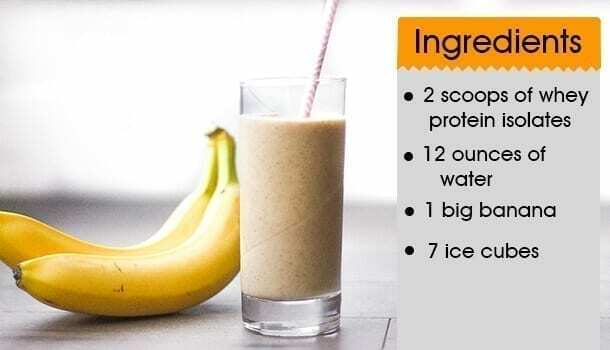 The thick shake will be an excellent one for losing weight. Whip the cottage cheese well until you get a thick consistency. Blend together all the ingredients. The delicious shake is an excellent energy boost drink. The vegan protein shake is for those of you who are looking at avoiding dairy products. The delicious shake will give you an instant energy boost by the protein and fiber component of it. 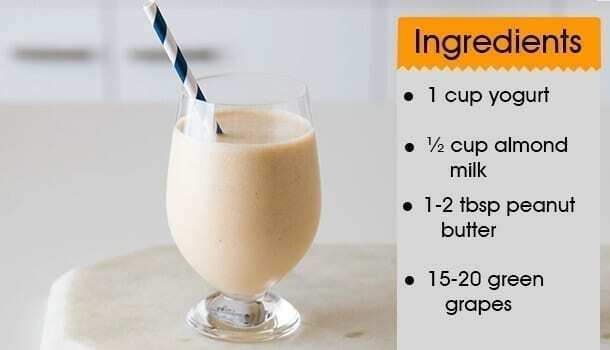 It is one of the best homemade weight loss shakes. You must blend together all the ingredients except the cooked oats. Add the cooked oats and mix well to get a thick consistency. The raw eggs shake is for the fitness freaks amongst you! People who are into building the muscles will benefit greatly from the shake. Blend all the ingredients together and serve chilled. Best quality of eggs must be used to be able to make the best slimming shakes for you at home! 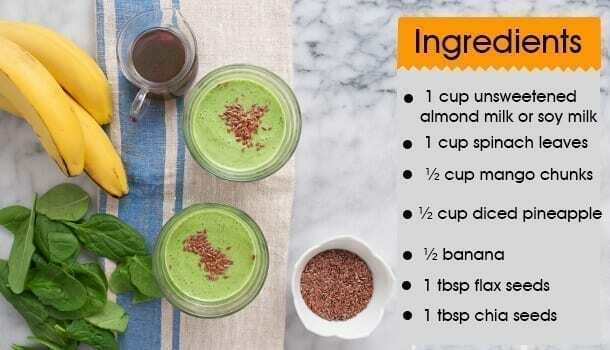 The spinach flax seeds shake is one of the best homemade weight loss shakes. It is green in color and nutrient dense. Blend all the ingredients well and slowly add the milk. Pour the shake into a glass and serve immediately. 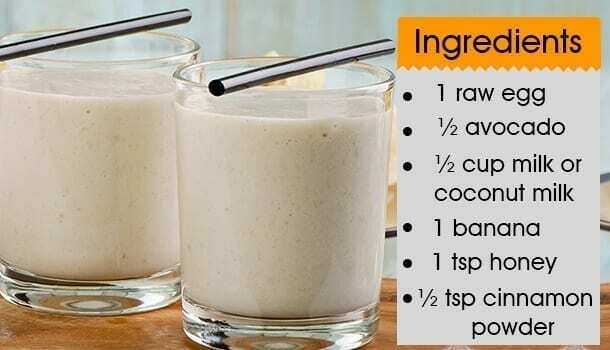 The tropical shake is one of the best weight loss drinks for the mornings. It is a rich source of proteins as well as fiber. Being low in calories, most people prefer to have it in the morning time. Blend all the ingredients together to make the refreshing tropical shake. The sweet spinach and pear shake is one of the most refreshing and delicious drinks. 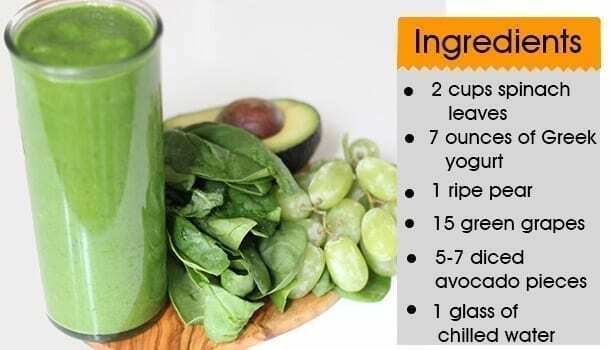 It is one of the tastiest fat burning shakes. Blend the Greek yogurt and spinach leaves well. Add the pear without the skin, and all the other ingredients. Blend well in the chilled water. Serve immediately. The avocado and strawberry shake is a healthy fruit punch for losing weight. 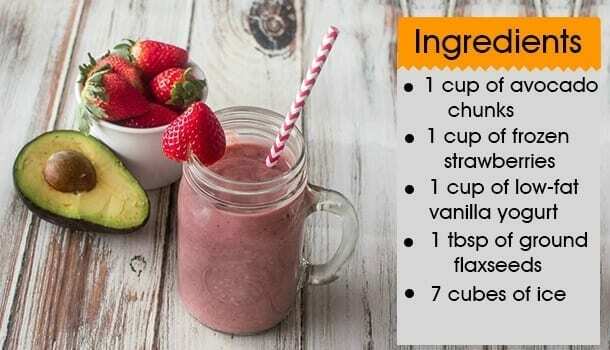 Blend the avocado chunks, the frozen strawberries, and the low-fat vanilla yogurt. Blend the fruits well to make a smooth paste. Add the ice cubes and the ground flaxseeds and blend for another minute. Serve immediately. The almond milk and egg white shake is a very delicious health drink. 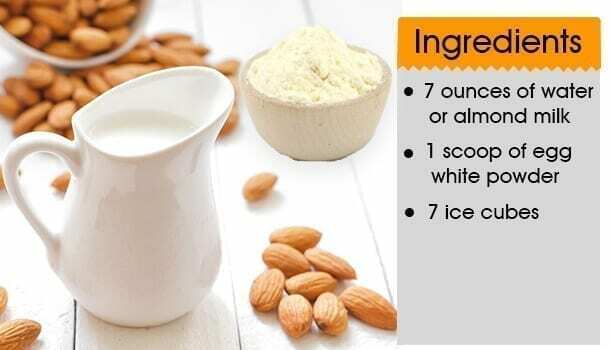 Prepare the almond milk and egg white diet shakes for weight loss by mixing all the ingredients well. The low-calorie shake is an excellent shake which is ready to serve. The power workout shake is for giving an instant energy boost to the person who drinks it! The most crucial point in preparing the power work out shakes to help lose weight is the time of blending. 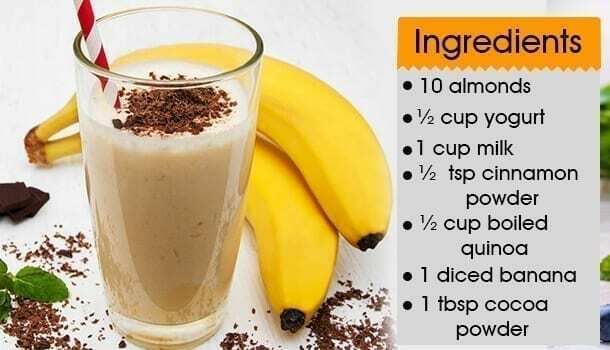 Add all the ingredients to the blender and mix well for just 30 seconds. Serve the shake immediately. 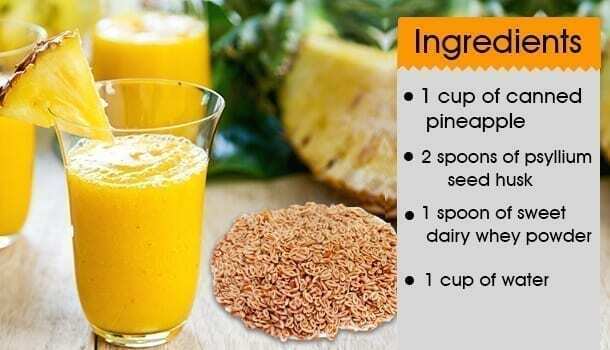 Add the Psyllium seed husk to the canned pineapple and blend well. Add the sweet dairy whey protein powder and ice cubes. Blend well with water for a few seconds. The best weight loss shakes is ready to serve! Read More: What are the Benefits of Pineapple? The liquid base for making the protein shake must always be soy milk or almond milk, to keep a check on the calorie count. Monounsaturated fatty acids such as flaxseed oil, avocado, and nuts can be added to the homemade weight loss shakes. It is safest to use the protein powder which isn’t flavored. Fibrous fruits must be added to make the shake for effective weight loss. The best time to consume the protein shakes is after a strenuous workout regime, to compensate for the recovery of the muscles. Alternatively, you can have the protein shakes about 30 minutes before exercising, so as to energize the body and increase the body stamina. 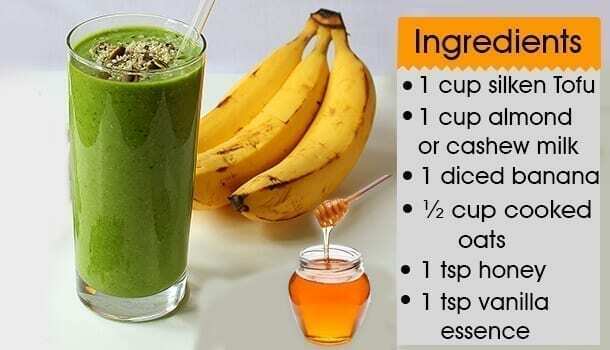 You must avoid adding sugar or honey to give a sweet flavor to the shakes. One glass of the homemade weight loss shakes is sufficient for losing weight. For those of you, who are looking forward to losing weight naturally, weight loss shakes make an excellent option. Protein shakes help in keeping you satisfied for longer time durations and thus, acts as an excellent meal replacement. Through the intake of the healthy protein shakes, you will prevent overeating. Small hunger pangs will make you eat unhealthy junk foods in between the meals. Thus, you can promote healthy weight loss through the intake of the best slimming shakes. Check The Calorie Counts: For effective weight loss, you will be required to decrease the per day calorie intake. The best homemade weight loss shakes will have fewer calories than the meal. Nutrients For Weight Loss: You must always choose the shake which is nutrient dense and high in proteins. You can also add some fiber to augment the satiety. Shakes which are rich in carbs and fats must be strictly avoided. Weight loss requires you to understand the appropriate combination of foods you must eat and the foods that you must avoid. A strict diet plan will go a long way in losing the kilos over a period of time. You can try different fat burning shakes to lose weight. However, it is of paramount importance to understand that weight loss requires consistent effort and dedication, without cheating! A mild work out regime, such as brisk walking, jogging, skipping, or lifting light weights, etc. will aid in losing weight and balancing the lost weight. The key to losing weight is by incorporating healthy protein shakes in the daily diet plan. You can decide for yourself the weight loss shakes that work the best as per your taste and weight. By increasing the protein intake, you will be able to curb hunger and thus, reduce overeating. The most crucial point to keep in mind is that when you eat less, you will begin losing the body fat. However, you must never starve yourself for losing weight. Food such as milk, quinoa, eggs, chia seeds, will promote effective weight loss, without starving yourself. You can experiment with the homemade weight loss shakes which are rich in natural proteins rather than artificial supplements. It is of paramount importance to understand that people who lose weight by incorporating the homemade weight loss shakes in the diet plan will regain the lost weight soon. The moment you stop the intake of the protein shakes and return to the diet including foods, the weight will be regained. Thus, the best way to sustain the weight which has been lost is to incorporate the healthy shakes for weight loss in the daily diet plan. You can substitute a dessert or a calorie-rich snack with a healthy shake. To be able to sustain the lost weight, you must ensure that the foods you eat are low in calories, rich in protein and fiber. The ingredients will help in keeping you full and prevent hunger pangs. 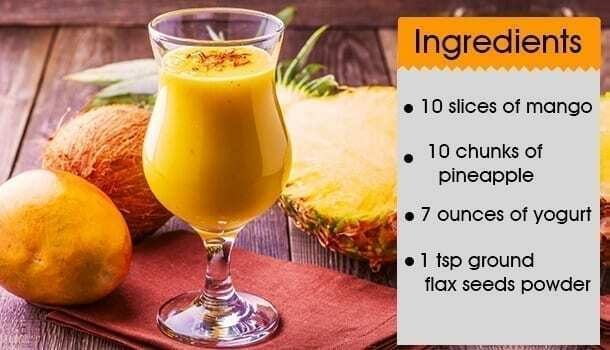 The best homemade weight loss shakes rich in proteins will augment the production of heat within the body and thus, boost the burning of fats and calories. Another paramount aspect to keep in mind while following a work-out regime is that protein intake will support muscle gain. Muscle gain doesn’t mean gaining weight but involves the loss of fat from the body, which is augmented by protein and fiber intake. Try the different homemade weight loss shakes for losing weight in a natural way, along with a mild work-out regime to get the best results!